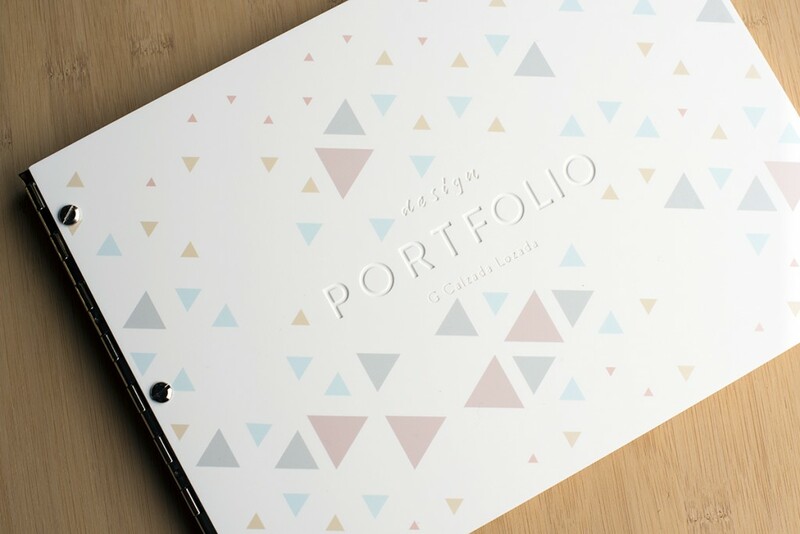 It can be a daunting task when it comes to creating your portfolio book. That final vessel that houses all of the work you've meticulously edited, re-edited, and then edited some more! 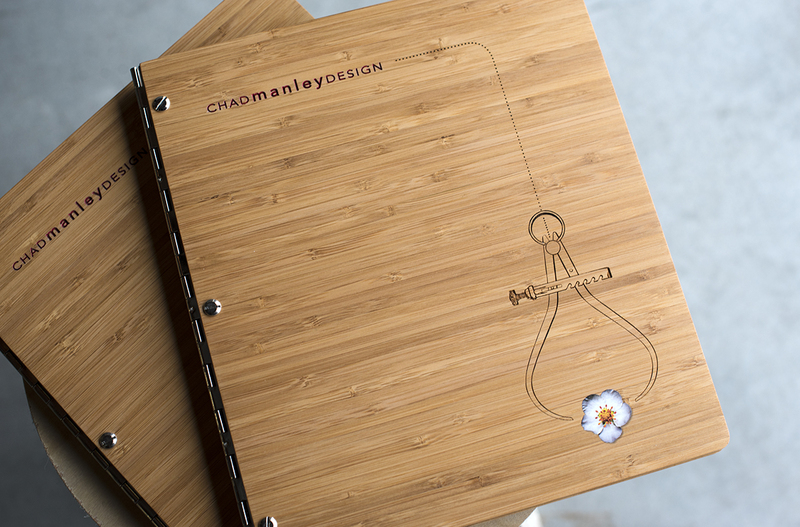 We've created tens of thousands of beautiful custom portfolio books for designers just like you and want to share a few of our favorites. 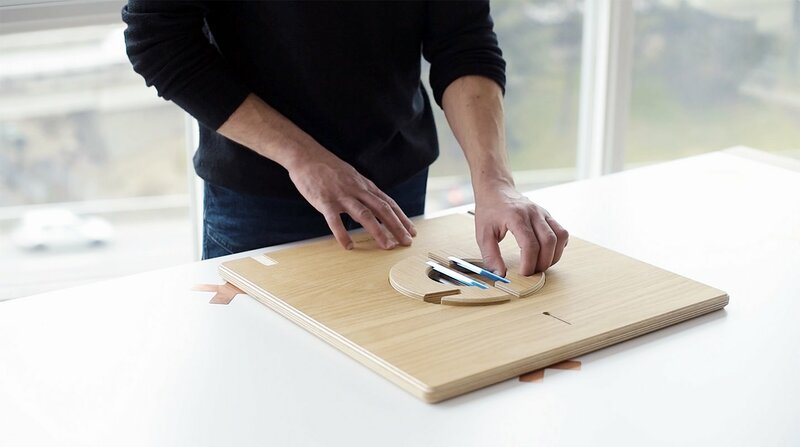 We hope it'll lend you some inspiration so that you can create something that truly represents you. 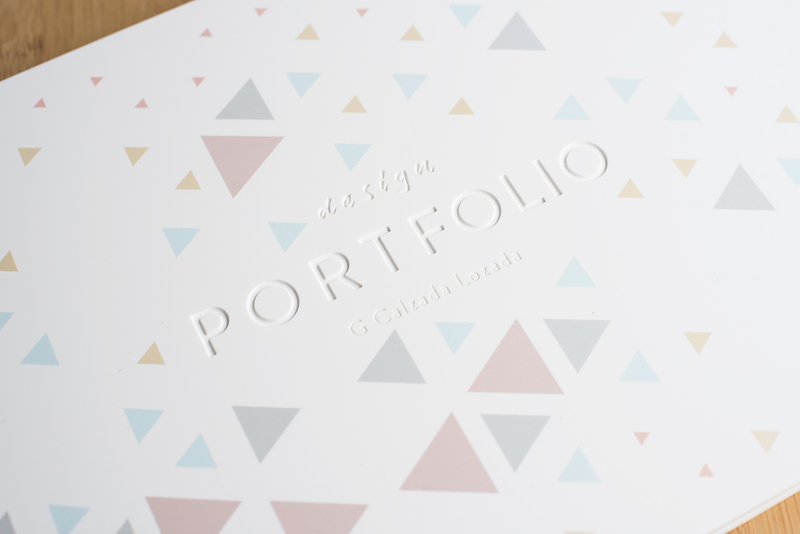 Begin creating your own custom portfolio book or give us a shout if you have any questions. We can't wait to see what you come up with! 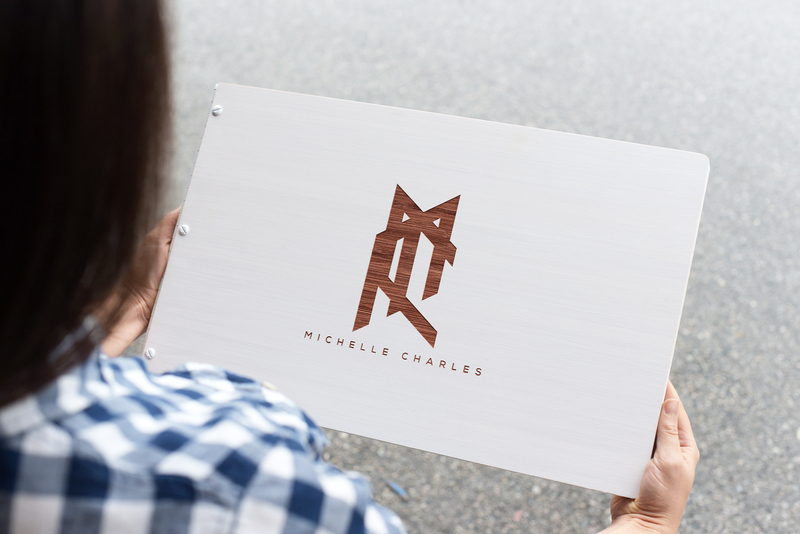 Michelle opted for our hand-stained ivory bamboo portfolio book with an engraved color fill in copper. 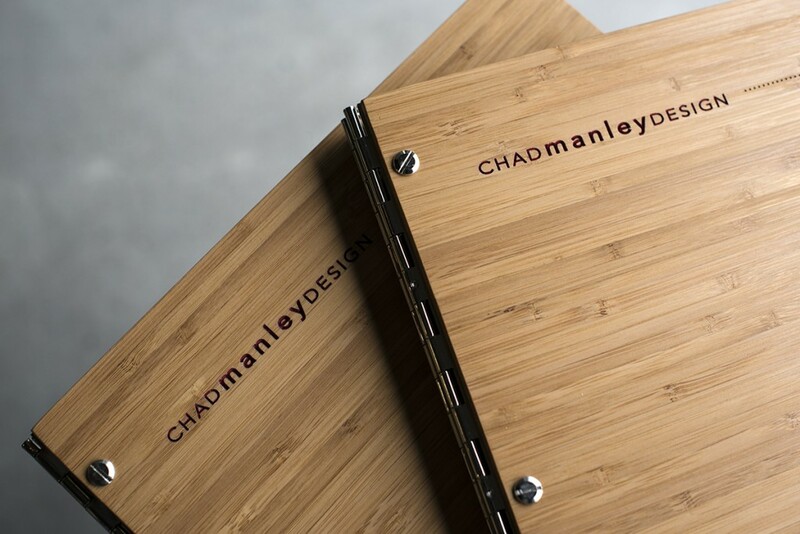 Once the bamboo is engraved, it creates a rich texture showing the lines of the wood which can either be left as is or color filled. 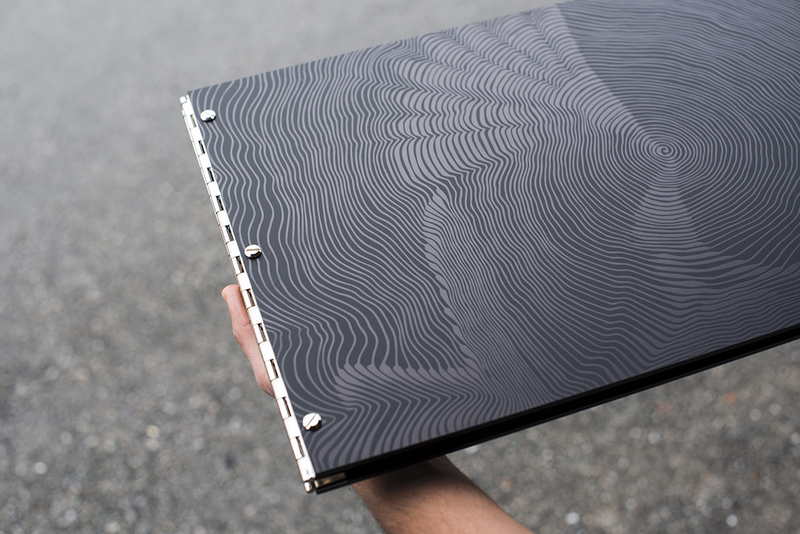 Rebekah chose our matte black acrylic portfolio book in the 11 x 17 landscape size for the canvas of her rad design. 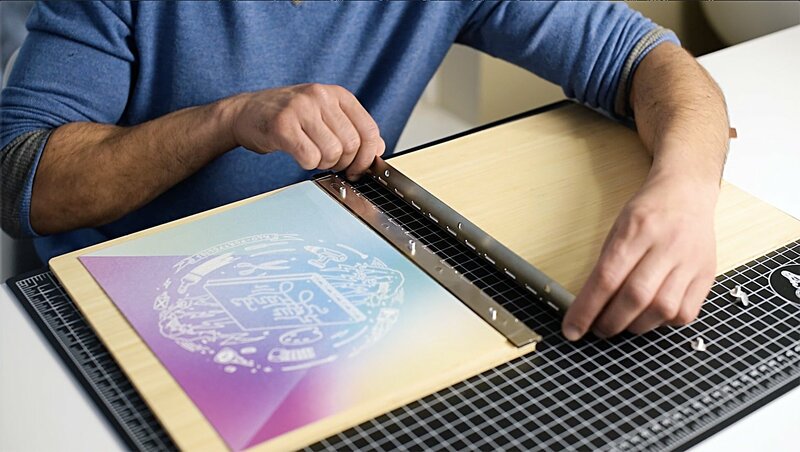 She opted for our full cover UV Print & Cure treatment which allows us to seamlessly print intricate designs right on to any of our materials. Can you spot the clever geese design within her pattern? Genius! 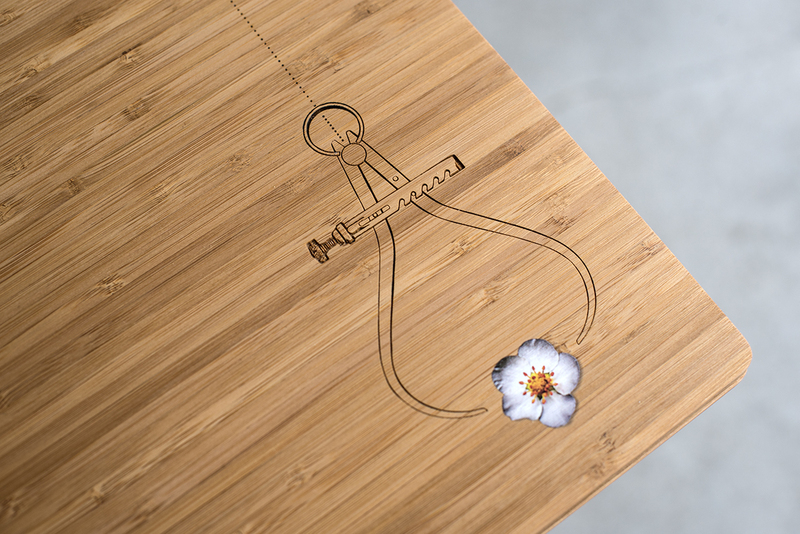 Furniture designer Chad Manley incorporated an engraving, engraved color fill, as well as a UV Print & Cure treatment for the photo realistic image of the flower in between the calipers. 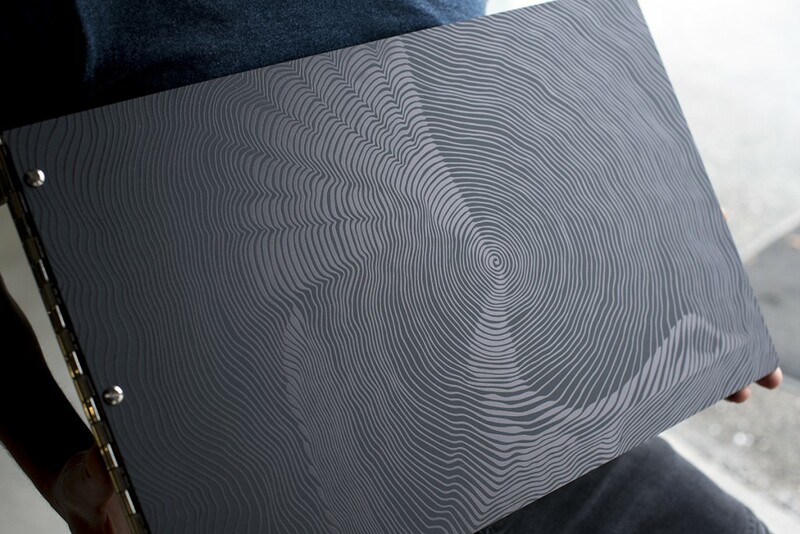 The final outcome perfectly illustrates how combining different treatments can create a tactile portfolio book that will grab anyone's attention. Chad opted for our 8.5 x 11 portrait caramel bamboo portfolio book. Gabriela complimented her graphic design portfolio with a full cover UV Print for the colored areas and an engraving for her text. She chose our white acrylic material in the 8.5 x 11 landscape size. 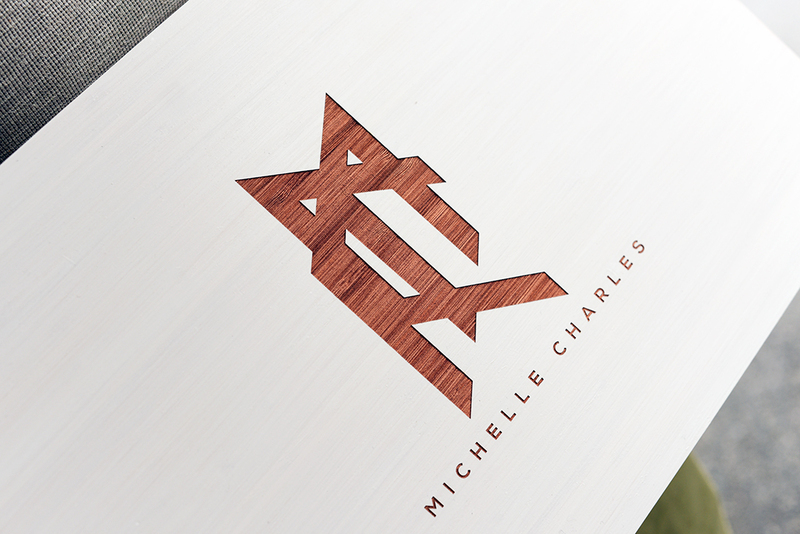 We love this sassy yet classy design! Did you know we create our own marble acrylic in-house? Exclusive to Klo Portfolios, this is one of our favorite materials since it has the richness of marble with the lightness of acrylic. 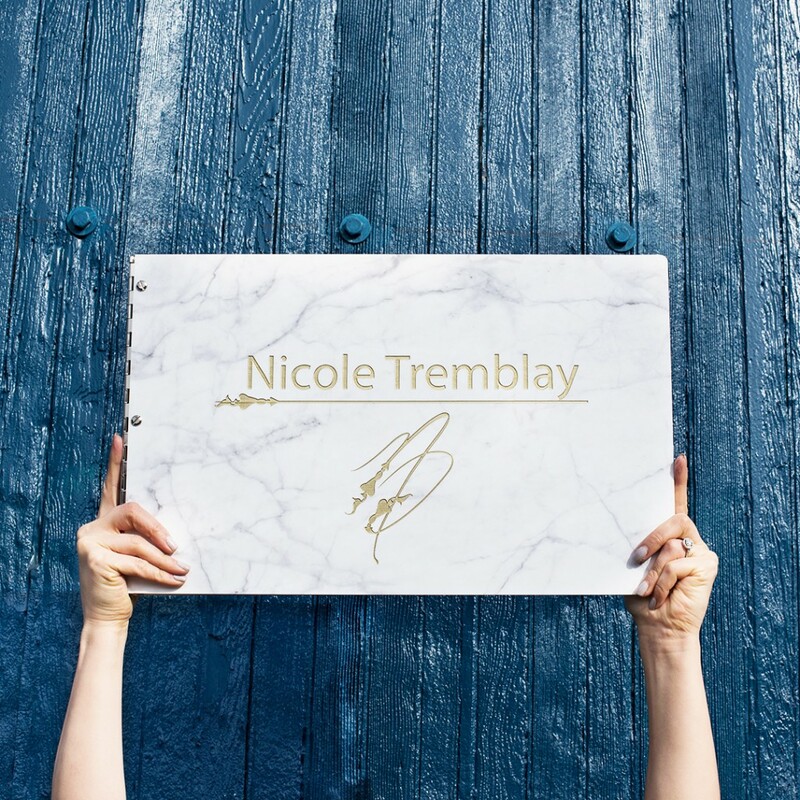 Nicole chose an engraved color fill in gold for her 11 x 17 landscape interior design portfolio. You can't go wrong with this timeless marble and gold combination and we absolutely love it!